Life is not buttered toast. That is my attempt to translate a Lithuanian idiom - “gyvenimas ne sviestu teptas". Try explaining “the elephant in the room” to a Lithuanian engineer and you’ll end up with odd questions about cubic meter volume of elephants and average size of a Lithuanian apartment. But I digress. This article is about advantages of globally distributed teams, specifically, our unique business model of building blended Product Teams across the Atlantic ocean. Let’s start by addressing the aforementioned elephant in the room. Historically, global teams have been a synonym for cost savings. Open an office in an underdeveloped country, offshore time insensitive support work and you’ve got yourself a very lucrative model for trimming costs. Setting aside the historical failures of such a model, there are many large organizations that do this successfully to this day. That’s not who we are. Chicago-founded Devbridge grew to fifteen employees before we ventured out to international waters. In fact, very little global strategy was involved for a company that would soon have thirty employees in the United States and over a hundred across two offices in Lithuania. Once we’ve settled in and resuscitated our rusty connections (all of the founders of Devbridge are first generation immigrants from Lithuania) we realized that Lithuania was an untapped engineering goldmine. We also understood the risks - the countries are eight hours apart and communication is challenging enough when you’re sharing the same cubicle, not to mention being an ocean apart. It would work, and work really well - but we needed a sophisticated and metrics driven process to keep us together. It was said at the Forbes Reinventing America Summit that fifty four percent of current employers can’t find skilled talent they need. In the Information Technology sector, the situation is dire - unemployment rate is being reported at two percent, and some sources citing less than one percent. Lithuania, on the other hand, is one of the most computer literate populations in Europe. Technical education starts in high school and continues through highly focused university programs. In fact, organizations such as IBM, Bentley Systems, Barclays Technology Center and others have since noticed and opened their offices in Lithuania (Source - InvestLithuania.com). Our global team allows us to leverage the best of both worlds - innovative spirit and industry insight from United States, and a supply of deep technical expertise from Lithuanian engineers. 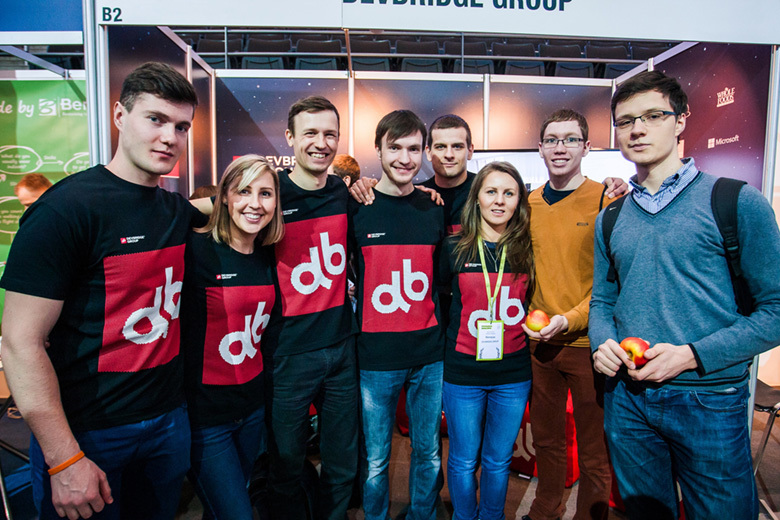 Above - Devbridge Lithuania Team At a Recruiting Event. We’re a midwestern company, founded in the city of big shoulders. We cut the chitchat, get things done, and own up to our failures. It is incredibly important for us to have cultural alignment across our global teams when working on time sensitive, complex, and mission critical initiatives for clients like McDonald’s. 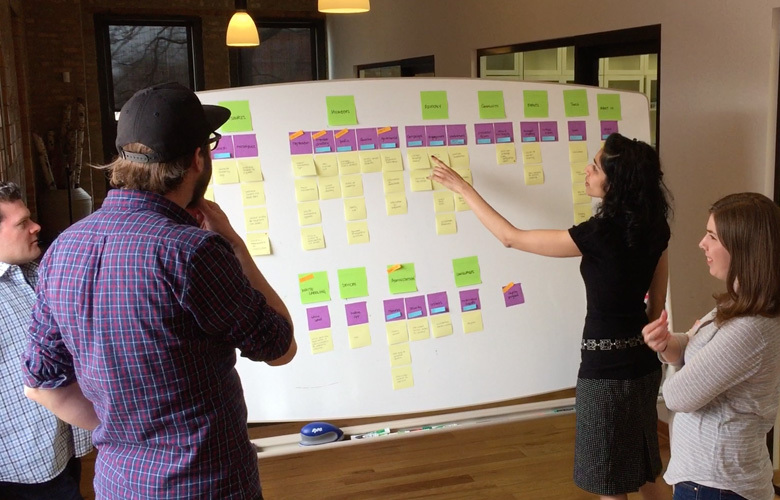 We use Scrum (dual-track when appropriate) to manage our projects and process, so individuals within teams take direct ownership of deliverables and manage themselves. Lithuanians are introverted people and often are confused by American small talk. “How are you guys doing?” typically gets a response of “Fine. You already asked us yesterday.” At the same time, the work culture in Central Europe is philosophically very similar to our midwestern mentality. People take pride in great work, are not afraid of challenges, and love seeing clients succeed. To help facilitate the conversation we have designed and productized a platform called TeamOS - a Platform for Productive Teams. It is a multi-channel communications tool that helps employees stay informed about company initiatives, ongoing projects, employee birthdays, and more. 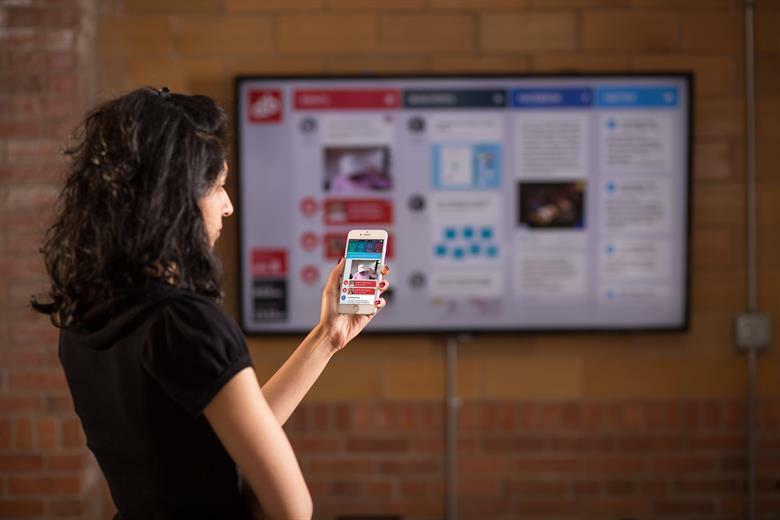 Above - TeamOS Being Used on Mobile and Interactive TVs. Introduction to English starts as early as grade school, so team communication during daily Scrum standups is never an issue. Cross-language communication also mandates the team to purify their messaging and objectives, so meetings end up being very curt and result oriented. Having a global team allows you to provide service and support twenty four hours a day. At the same time, our offices have a four hour overlap window giving us ample opportunity to run Scrum rituals, communicate with clients, and resolve blockers. Furthermore, some projects can leverage a custom flavor of dual-track Scrum - effectively converting a typical eight hour workday into a hyper-productive twenty four hour iteration. Using this model we’ve taken enterprise products to market in under three months that other vendors estimate to take a half a year. Our differences make us stronger. Eating Lithuanian Cepelinai for lunch in Chicago is delicious and calorically impressive (think meat wrapped in potato, covered with bacon and sour cream). We host DBSummarCamp every two years to bring the teams together in Lithuania and celebrate our accomplishments at a week long workation. Our Lithuanian counterparts visit the Chicago office and enjoy culinary tours that have very little to do with deep dish pizza (hint: locals don’t eat deep dish). 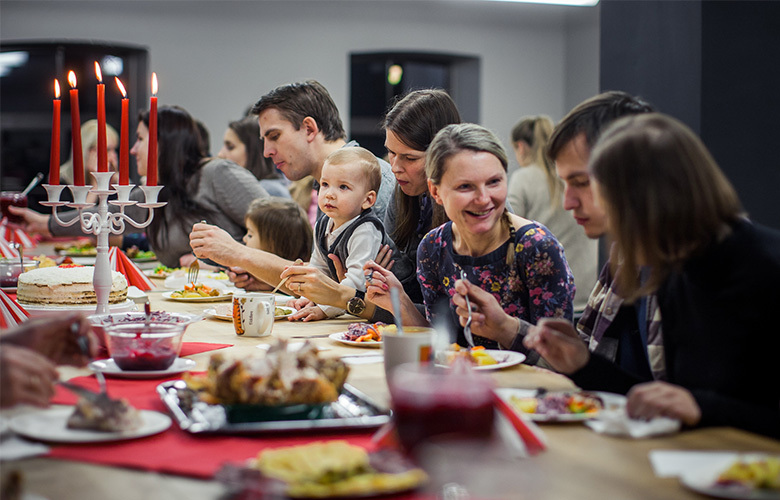 Above - Thanksgiving Celebration in Kaunas Office. So perhaps our obsession with food is not the best representation of diversity. At the end of the day - a different point of view can help solve the same challenges much faster. Cultural awareness makes our team both in Chicago and Lithuania stronger professionals and people. We integrate better with clients that are distributed across the world, we are better communicators, and better listeners. Resource arbitrage and economic benefits are clear and commonly discussed benefits of global teams. There are many others. Our model, blended cultures, and awkwardness with idioms are all part of our company DNA. It’s a unique facet of the company that we celebrate, share, and promote. So if you dare to overcome some of the obstacles, a global team can create massive value both for you as a professional and the client.